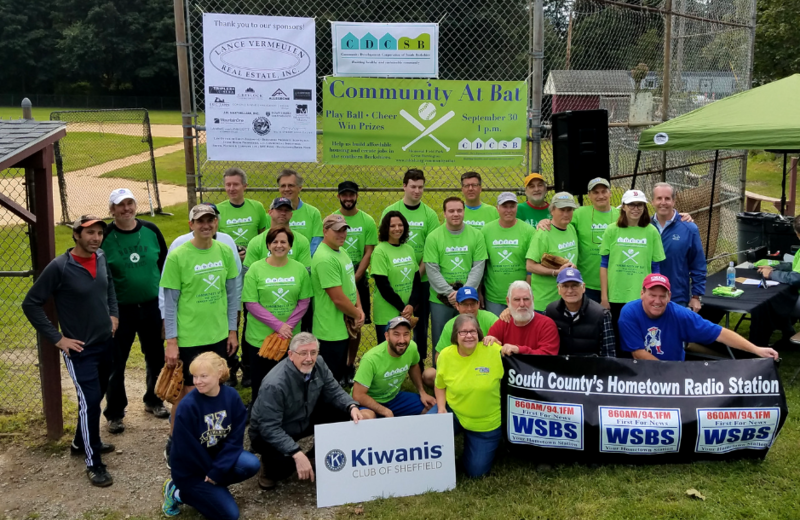 It was a glorious, sunny day in late September for our second annual Community at Bat fundraising softball game at Memorial Field, in Great Barrington. 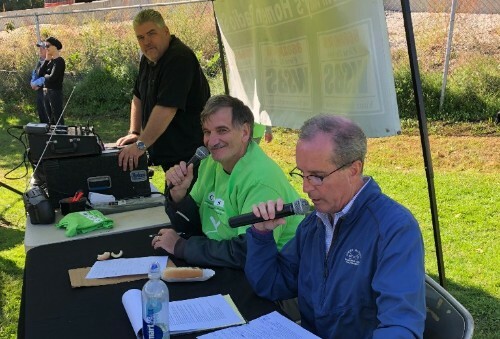 Broadcast live on WSBS, the afternoon was spirited with play-by-play announcing by Rep. Smitty Pignatelli, Jack Passetto, and Jesse Stewart and barbeque by the Sheffield Kiwanis. Tangela Gauthier of Monument Mountain High School delivered a moving rendition of the national anthem and Take Me Out to the Ball Game. David Valicenti captured Most Valuable Player (most hits reaching the river!) as the Work Force Housing team captained by CDC President Jim Harwood outlasted the Living Wage team captained by G.B. 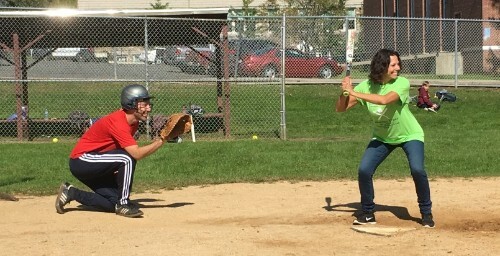 Town Manager Jennifer Tabakin, with a score of 11-3. Close to $7,000 was raised for the CDC’s affordable housing and job creation work. Accompanying the event was a Raffle & Auction with gifts donated by local businesses, gift cards to local eateries and retail shops, and a one-week stay in Mexico! “We had a great turnout for the game. The community support helps us affect positive change in our community making the southern Berkshires a more affordable place to live, work, and play” said Cara Becker, CDCSB board member.